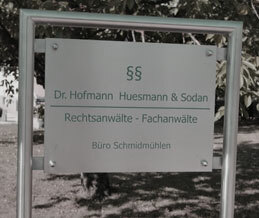 The firm HHS was founded in 2004 in Regensburg. 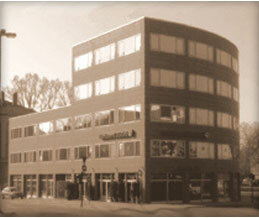 In order to reach clients better, offices were opened in Nuremberg and Schmidmühlen. The “Headquarters” is still Regensburg. Our office in Regensburg, has a beautiful view of Regensburg and is located on the top floor of the office building “Atrium” in Kumpfmühler Road 30. It is at the intersection of Kumpfmühler road and Kirchmeier- / Friedenstraße, just 400 meters away from the courthouse. Parking for our clients is sufficiently available in our secured parking lot. 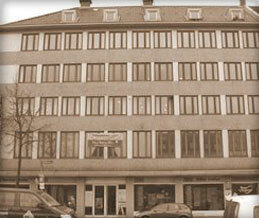 Our office in Nuremberg is at the ADAC building on Frauentorgraben and is conveniently located in the city center. In the immediate vicinity is the metro station “Opera House”. The train station is also within walking distance. There is sufficient parking in the surrounding area. Appointments strictly made by prior arrangement only. Our office in Schmidmühlen, which falls under the Amberg District Court, is located in the center of the 1000 year old market town at the confluence of Vils and Lauterach, at Bahnhofstrasse 1, adjacent to the Mühlwiese parking lot. A prior appointment by phone is required. 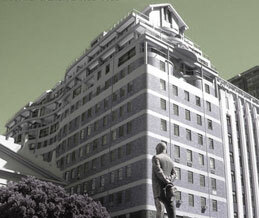 Due to the growing activities in the African region, in 2011 we opened our representative office in Cape Town. This office is located right in the commercial heart of the city on the top floor of the “Piazza” in sight of the Parliament and the Company Gardens. The Cape Town International Airport is located about 20 km away and can be reached within half an hour.